Rock art you can wear. Dragonfly Clothing matches stylin' denim with classic Art of Rock. 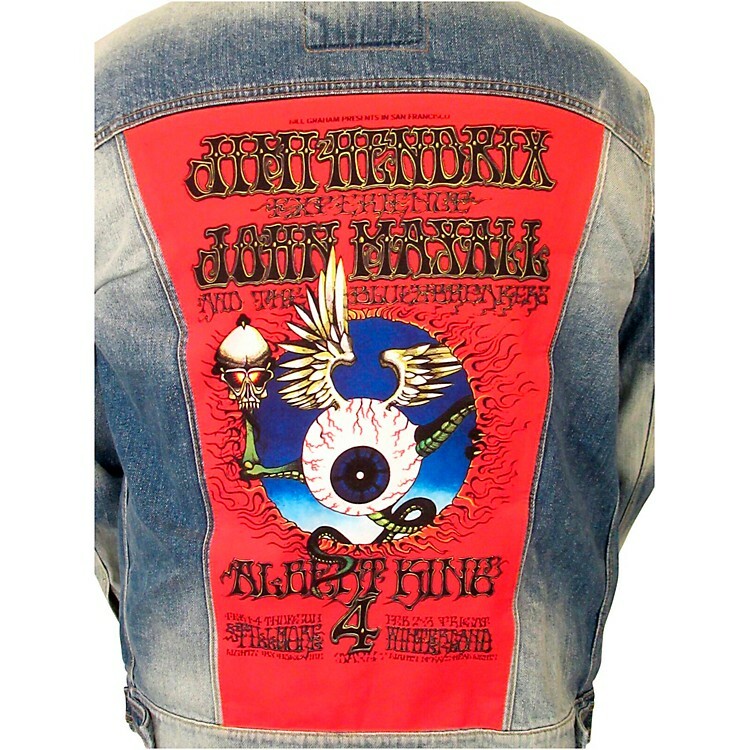 This jacket with sleeve patches and pin buttons sports a sublimated print classic concert poster recreation of the famous "Flying Eyeball" Jimi Hendrix, John Mayall, Albert King Winterland Ballroom show. Choose your size from the drop-down menu. Cover yourself in classic art. Order today.